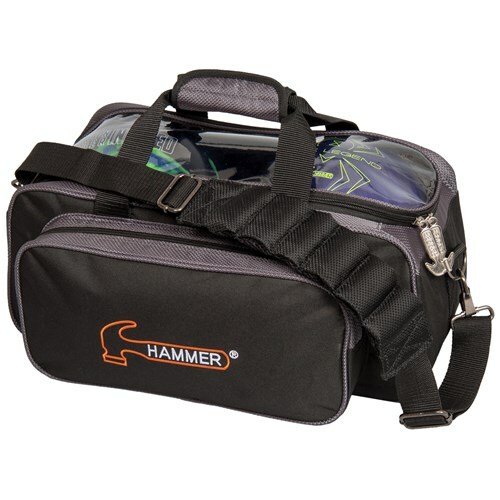 The Hammer Premium Double Tote is a great bag for holding 2 bowling balls and some accessories. The transparent top lets you easily see which deadly weapons are contained within your bag. The padded shoulder strap and carrying handles offer the comfort needed when toting two heavy bowling balls. Does it hold shoes too? Due to the time it takes to produce the Hammer Double Tote Black/Carbon ball it will ship in immediately. We cannot ship this ball outside the United States.